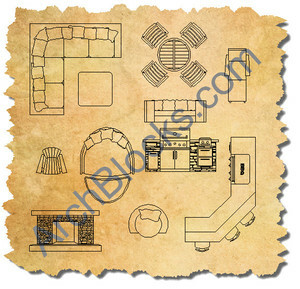 This Student Pack of CAD symbols is offered by ArchBlocks.com as discounted student software for all students in design classes. I want to offer this CAD library at a very reduced cost to help students on a budget get a good start on their design projects. It's all about "designing" and not about "drawing" in AutoCAD. Don't waste time drawing repetitive objects in your floor plans, spend your time with design concepts, not how to draw a kitchen range top! 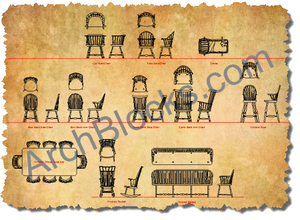 All the .DWG files in this CAD library are saved back to AutoCAD 2000, so if you have an older version of AutoCAD these blocks will still work great. 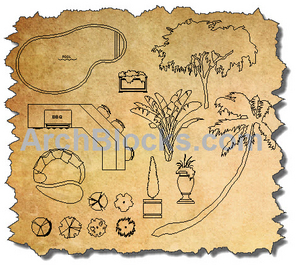 If you have AutoCAD 2015, these CAD symbols will work perfectly in the new Galleries feature. This new AutoCAD 2015 feature the INSERT tool button drops down previews of block definitions in the current drawing from the ribbon menu so you can bypass the INSERT command dialog box and drag and drop blocks into your drawings even faster! 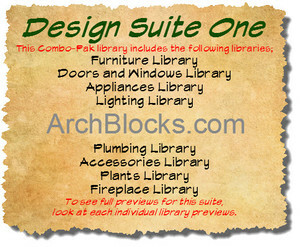 This AutoCAD blocks library will cover all your needs to get started creating beautiful CAD design floor plan and space plan projects right from the start. Debit cards, credit cards, and PayPal are all accepted! 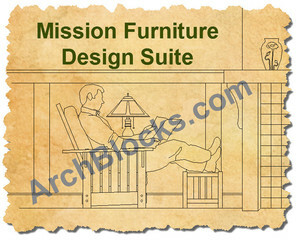 Living room furniture CAD symbols. Dining room chairs and tables and furniture. Kitchen appliance symbols and plumbing fixtures. CAD blocks of cars, trucks, vans and SUV's autos in plan view. People AutoCAD symbols in plan view and elevation view. House plants in plan view. 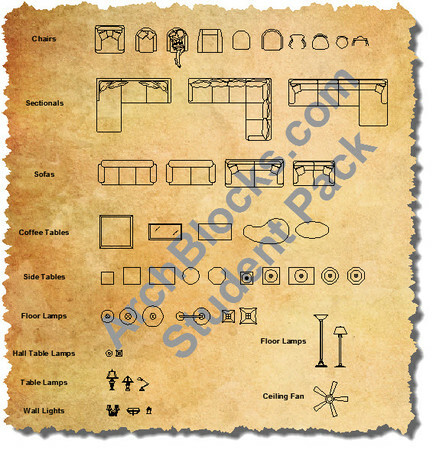 Accessories symbols to add detail to your elevation drawings. Eligibility: To order this discounted student CAD library you must be a part-time, or full-time student in a design class. This information is required to place an order. Is you have any questions, please send me an email, I will be glad to help in any way possible.